Create a custom furniture of your dreams with our bespoke Glass Table Top manufacturing service throughout Adswood. All Glass and Glazing offers the North West’s most comprehensive range of made-to-order glass products and glazing services – all backed by our extensive quality, value and satisfaction guarantees. We have the experience, expertise and relevant industry background to produce the most outstanding customer table tops for the lowest market prices. The way we see it, why buy a standard prefabricated glass table, when chances are you could have a unique glass table manufactured on your behalf for the same price, perhaps even lower in Adswood? From simple domestic home enhancements to the largest commercial and industrial-scale projects, we will stop at nothing to deliver the products of your dreams at prices you simply won’t believe! Here at All Glass and Glazing, we built our reputation on delivering market-leading products that combine quality, value and prestige as standard. Our bespoke glass table tops Adswood are no exception to the rule, which in all instances deliver an extensive range of benefits and advantages. The list goes on, but every entry further encapsulates the unique charm, sophistication and outstanding value for money our glass table tops deliver. As a family owned and operated business, we take enormous pride in providing our customers with 100% objective, impartial and honest advice at all times. That’s why we’re more than happy to offer our assistance when it comes to deciding on the specific glass table top your personal project requires. Having designed and manufactured more incredible glass products than we care to remember, we’re uniquely positioned to help you design and order the table top of your dreams. Our Glass Table Tops Adswood can be designed for indoor and outdoor use alike, along with a wide variety of commercial, industrial and retail applications. Whatever it is you need and no matter how specific your vision may be, All Glass and Glazing will stop at nothing to deliver market-leading products that always bring more to the table. 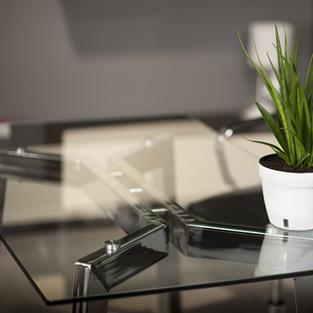 For more information on our glass table tops or to discuss a quotation, give the All Glass and Glazing team a call today on 0161 427 7800.